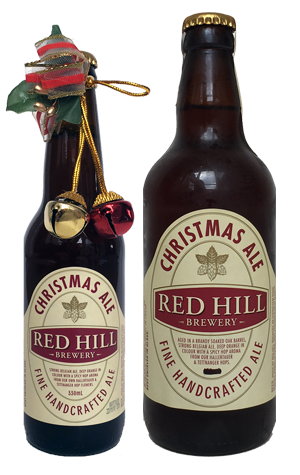 Red Hill's Christmas Ale has been around almost as long as the brewery itself, a faithful old friend each time the holiday period rolls around. For 2017, it's got a buddy too in the shape of a brandy-soaked barrel aged version that's been bottled in seriously limited numbers. The original will be familiar to those who've ventured there before, with sweet, sticky malts and candi sugar joining ripe banana and sweet spices in its murky copper belly. There's a suggestion of booziness on the nose, confirmed by the lip-tickling heat that builds as the glass empties. The barrel aged version is darker in colour, lower in carbonation and delivers much of the above flavour and aroma characteristics, albeit with more intensity and hints of cherry and marzipan for added Christmas cakiness.